Darth Maul clearly has some big plans! We next see Death Watch encountering the Black Sun crime syndicate on their own planet, bringing a full batallion, for which even Savage Oppress is surprised, to which Darth Maul confidently replies, “They will serve us well.” Upon their arrival, they meet Ziton Moj, whereupon Maul says, “We request an audience with your leaders.” To which Ziton Moj says, “It’ll be your funeral.” It seems Maul is totally unconcerned about the danger he is entering. 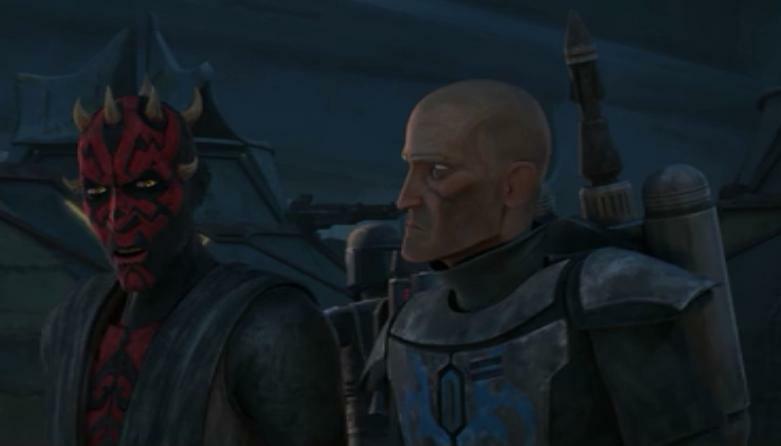 Clearly, there is a power struggle going on, but Darth Maul is able to convince Pre Vizsla to wait, even talking a bit down to him, that Pre Viszla’s planning is lacking. At this point, it seems that Pre Vizsla is totally on board with this big army idea. 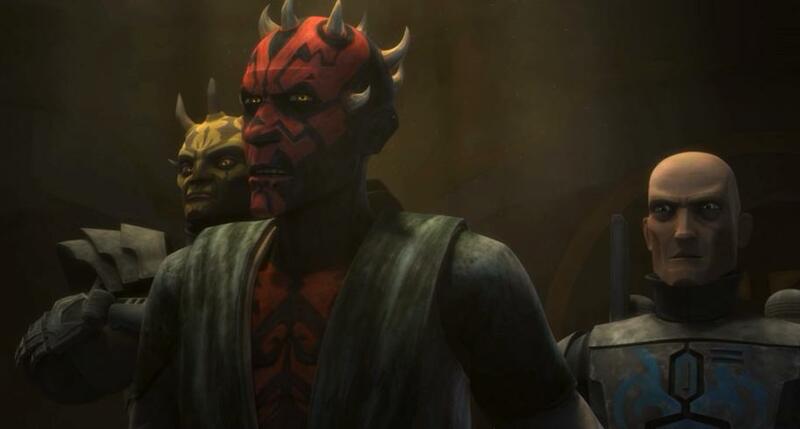 It seems that Darth Maul has a weak bargaining position and then we see bounty hunters pop up on them, with Darth Maul, Savage Oppress, and Pre Vizsla fleeing to regroup with Darth Watch reinforcements, after which, they go on the offensive against the bounty hunters, eventually engaging in fighting with some of the bounty hunters. When they begin to get away, Savage Oppress offers to go after them, but Darth Maul says, “They’re only bounty hunters; they have no allegiance”, which is compassionate of him. 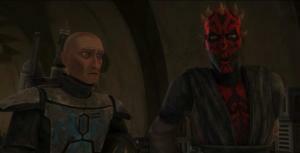 Darth Maul: “Submit or suffer. 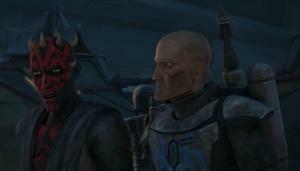 Clearly, they have impressed and coerced the Hutts into joining them. Vizsla curls his fist, angrily.